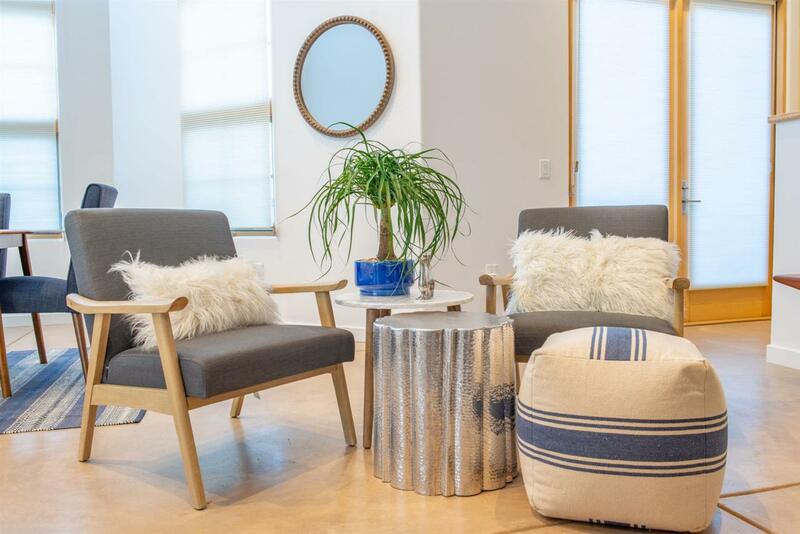 Come see this trendy 1 bedroom, 2 bath condo located in the heart of Santa Fe's desirable Downtown Railyard neighborhood. 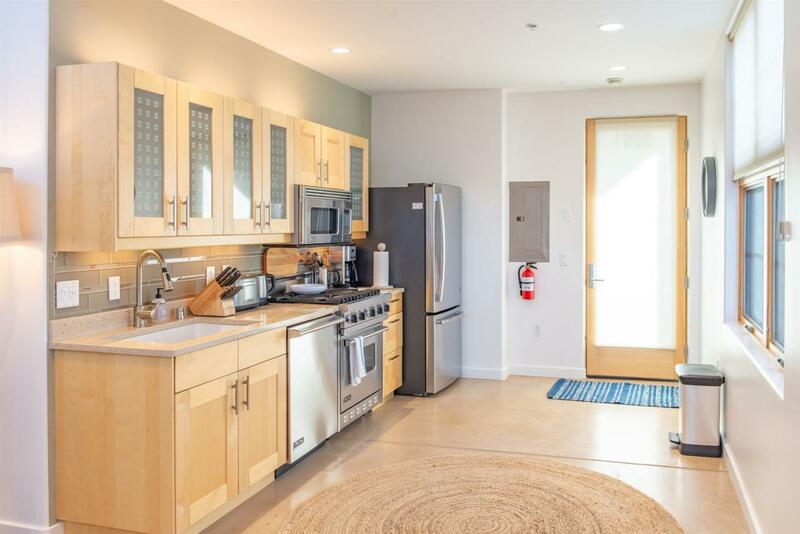 This unit is 1 of 7 condos in the Art Yard Lofts complex currently offered for sale. 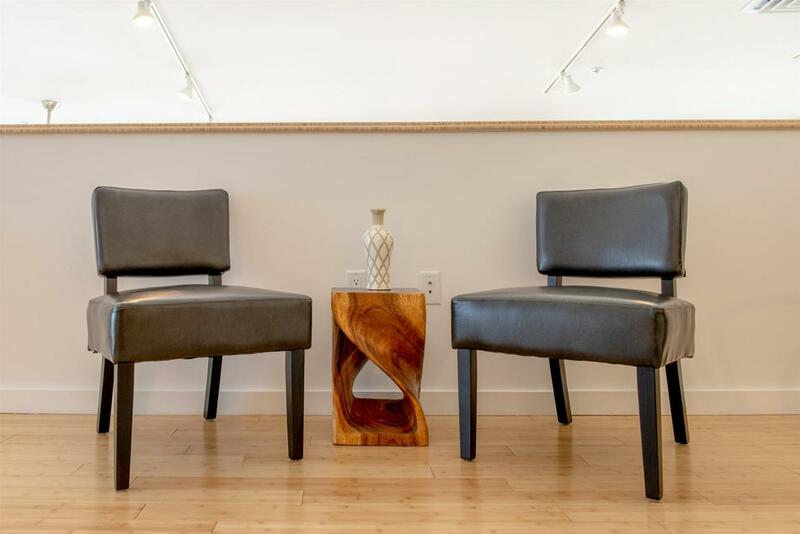 The unit has a modern style with a sophisticated city feel, concrete floors on main level and bamboo floors upstairs. The loft bedroom suite overlooks the open concept floor plan with kitchen and living room below. 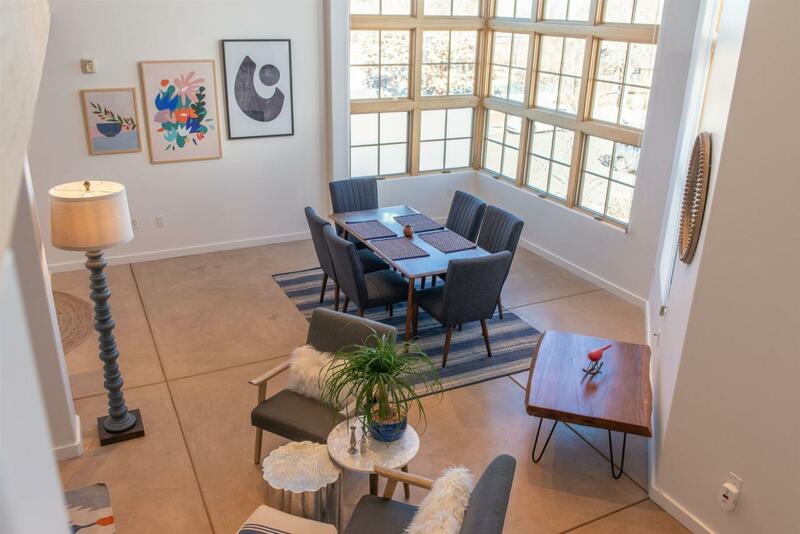 Light floods the unit through soaring 20' high windows with views of the Sangre Mountains. Full bathroom upstairs and 3/4 bathroom down. Each unit has its own washer, dryer and private deck. Ample storage. The Santa Fe Farmer's Market and Whole Foods are just steps away, only minutes to the Plaza, Canyon Road, art galleries, museums and the New Mexico Rail Runner commuter train to destinations unknown. Truly a unique property!